The AMD Radeon VII has been something that we’ve been benchmarking and gaming on for a number of days here at Legit Reviews. 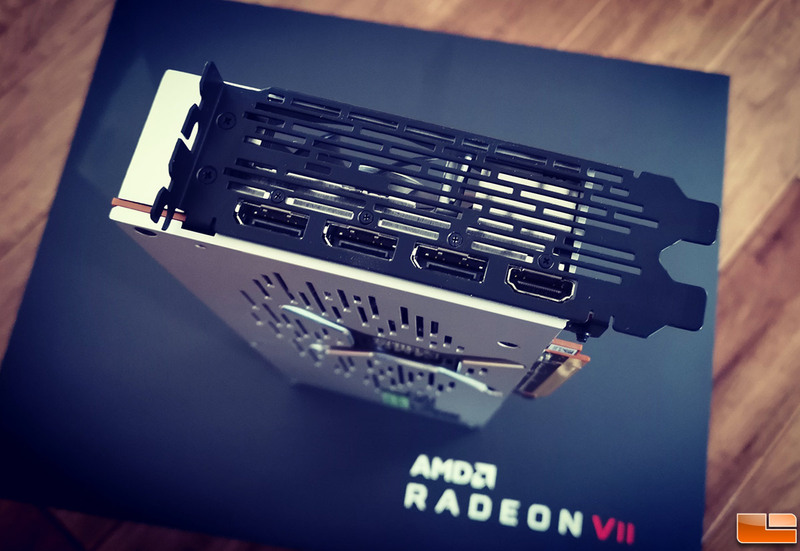 We’ve been pounding on AMD’s Radeon VII and while we can’t talk about performance just yet, we can give you a glimpse of the card and the special press kit that was sent to reviewers. 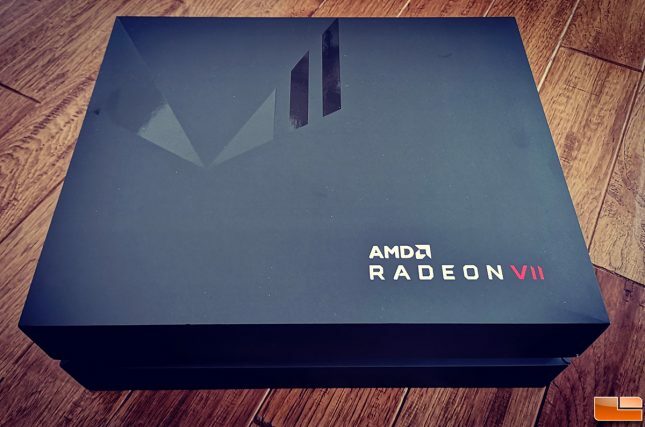 All reviewers got the card in a special black box that said AMD Radeon VII on the front with a modified Vega GPU logo on the upper left hand logo that is fitting for this card. Radeon VII was named Radeon Seven since the Vega GPU was shrunk down to 7nm. 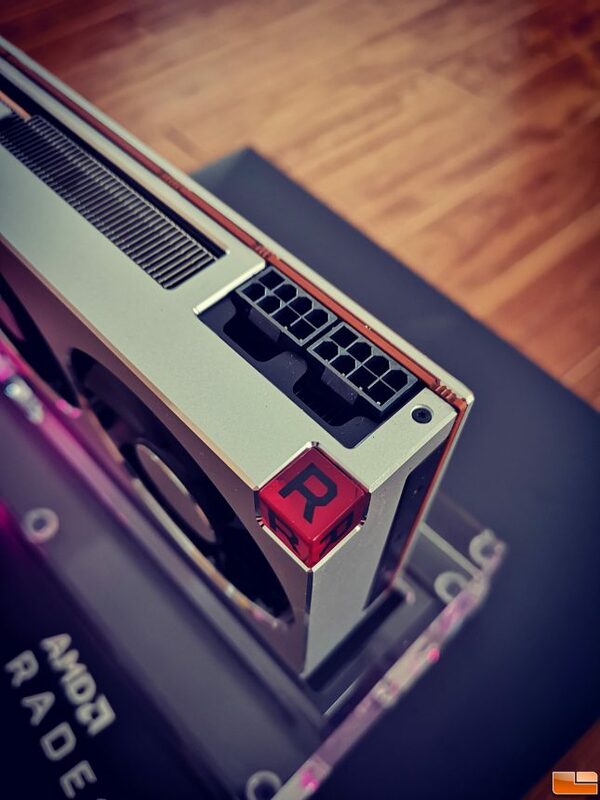 This shrink has allowed AMD to get higher clock speeds and better power efficiency and that is what makes Radeon VII such an exciting release as it should easily out perform the first generation AMD Radeon RX Vega 64 cards. 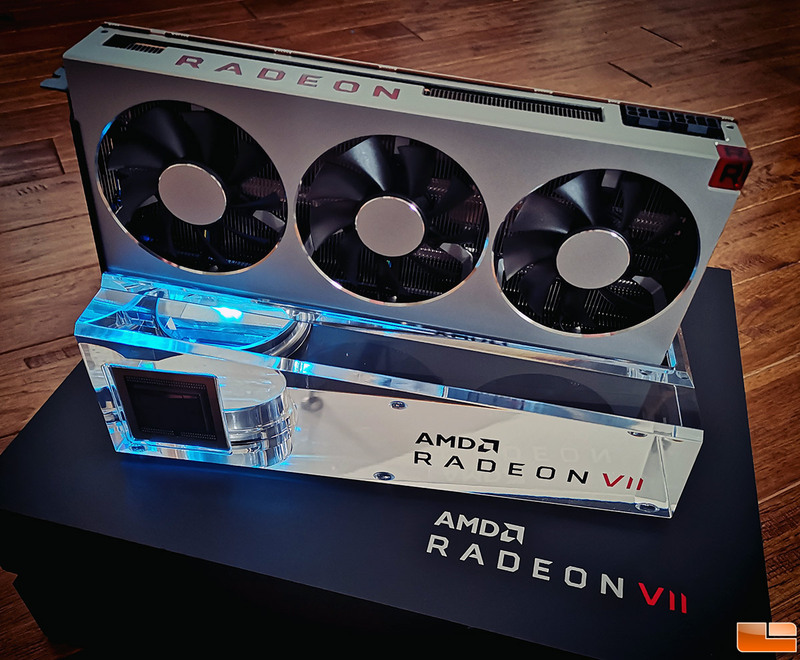 The AMD Radeon VII has 60 compute units running at up to 1.8GHz and promises to have 25% more performance at the same power. 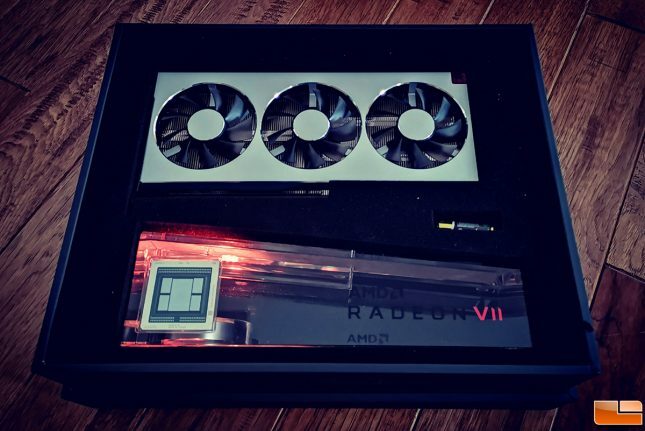 Inside the box we discovered the Radeon VII graphics card and a stand for it with RGB lighting. This just happens to be the same exact stand that was on display at CES 2019, so it was a little weird to us that AMD embargoed unboxings despite this already being shown off. One of the cool features with the GPU stand base is that AMD placed the new chip that powers this beast into the stand itself. The card has a silver fan shroud, three axial fans and cooling fins that run across the top of the card. AMD has kept the ‘R’ for Radeon lighted cube on the corner of the card. Here you can see the Vega GPU that is built on the 7nm process in the middle surrounded by four stacks of Samsung HMB2 memory. Each stack of memory has 4GB of HMB2 memory and make up the cards 16GB frame buffer. 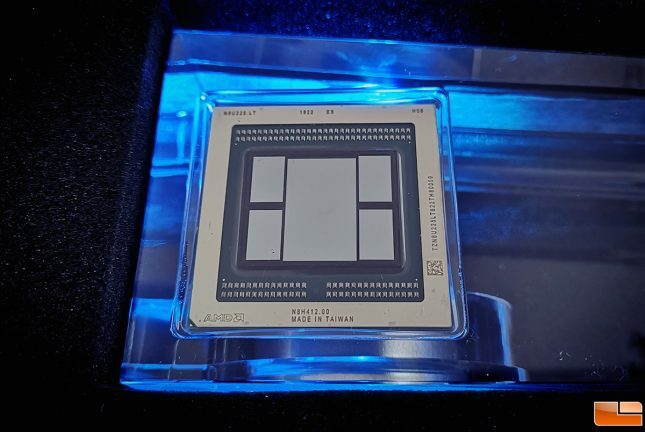 AMD says that the Radeon VII has 1 TB/sec of memory bandwidth. 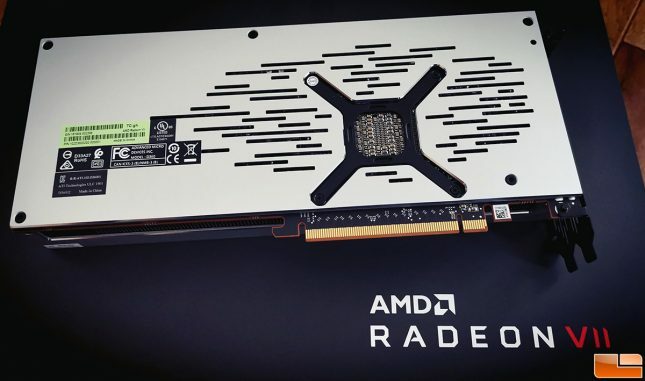 The AMD Radeon VII has two 8-pin PCIe Power Connectors located at the end of the top edge of the graphics card to feed the beast. When it comes to video outputs there are three full sized DisplayPort connectors and one standard sized HDMI port. Lastly, the back of the card has a silver full coverage backplate to help add rigidity to the cards black PCB, protect the components on the back and keep it looking good. Our review will be up in a few days when Radeon VII launches on February 7th for $699 and we’ll be able to talk about performance then. AMD showed off a glimpse of performance during Dr. Lisa Su’s 2019 CES keynote though and we will leave you with that. 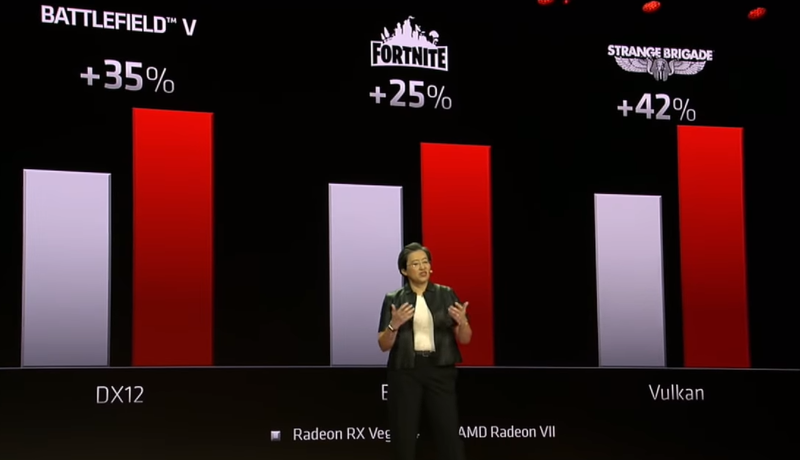 AMD was showing that 35% performance gains with Radeon VII over Radeon RX Vega 64 in Battlefield V and 25% more in Fortnite.